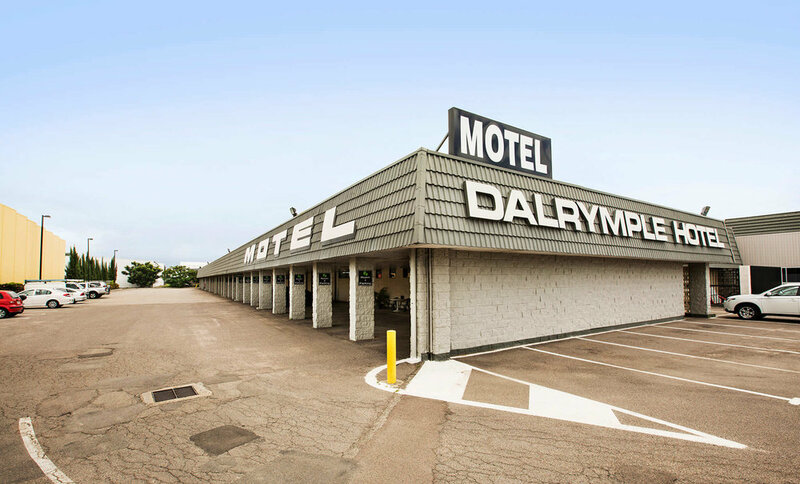 A stay at the Dalrymple Hotel's Motel is clean and comfortable. 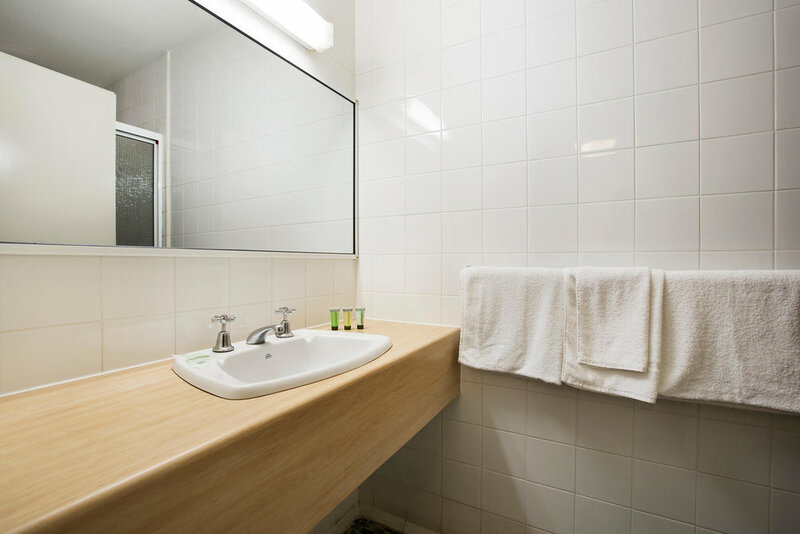 With undercover parking and the luxury of room service makes it perfect for short or long stays. 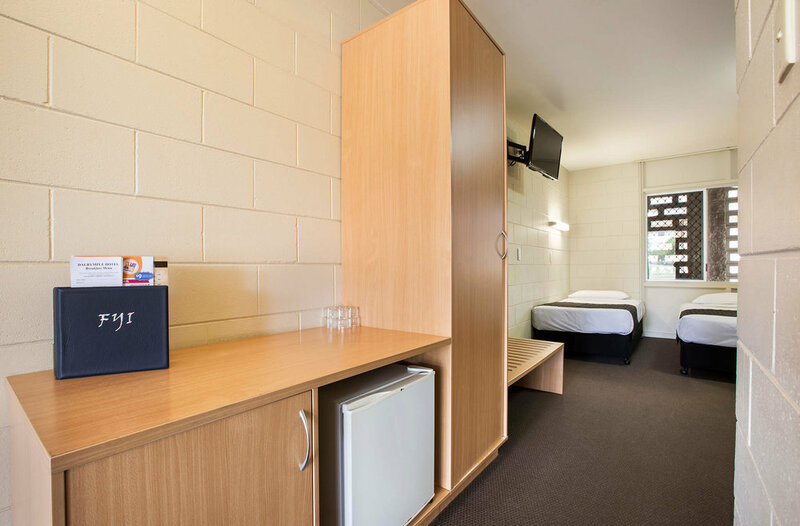 We are located less than 10 minutes from Townsville International Airport, 15 minutes from Townsville CBD, two and a half hours north of Bowen and 3 hours south of Innisfail. 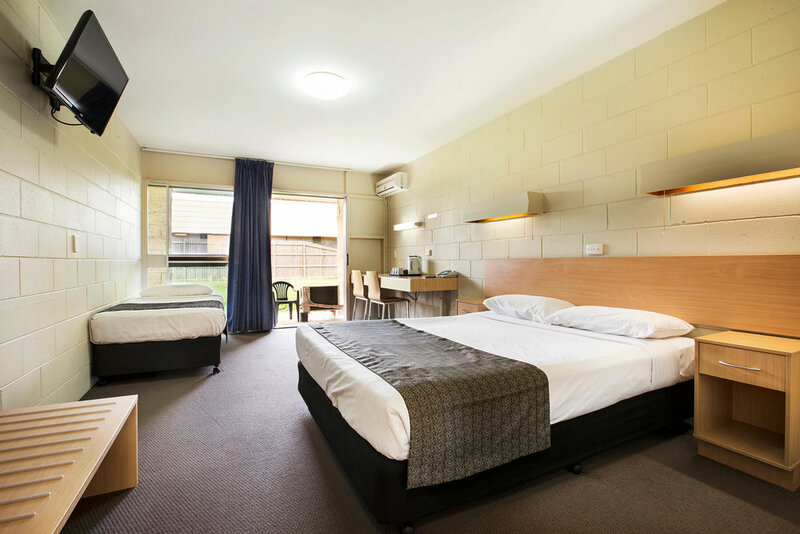 Each of the 22 rooms has air conditioning and is equipped with a TV, bar fridge, ensuite, iron & ironing board & with linen and towels included. Just a 15 minute drive away is the heart of tropical Townsville where you can spend the day visiting the Maritime Museum, Breakwater Marina or take part in the Townsville Cultural Festival in August on The Strand. Townsville provides magnificent views out to Magnetic Island which is just 8km offshore and accessible by ferry from the Port of Townsville. 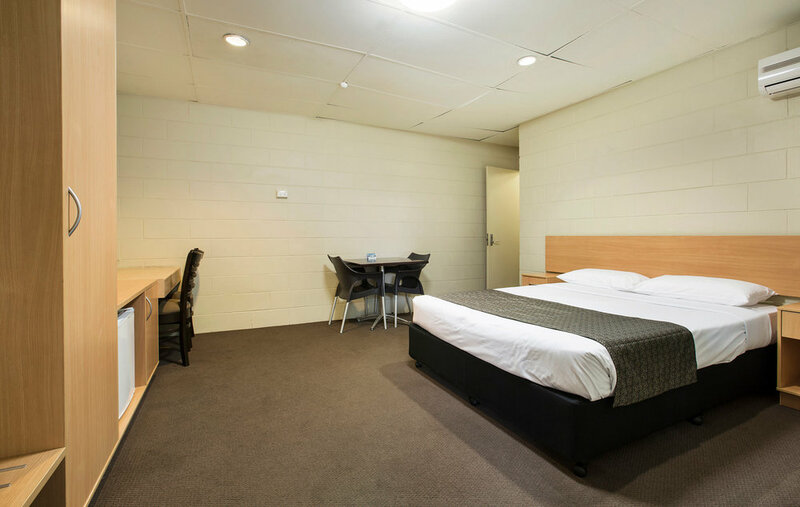 Check in is available between 2pm and midnight, 7 days a week. If checking in after reception has closed, please proceed to Gaming Room where the Manager on Duty will assist. Head south on Stinson Ave towards Avro Dr then take the 1st left onto Halifax St. Turn right onto Meenan St then at the roundabout, take the 2nd exit onto Ingham Rd. Turn left onto Pilkington St, at the 2nd roundabout take the 3rd exit onto Bayswater Rd. Turn left to stay on Bayswater Rd and the Hotel will then be on your left. Turn left onto the Bruce Highway, after 2.6km turn right onto Abbott St and then continue when it becomes Railway Ave. Turn left onto Boundary St which becomes Woolcock St (which briefly changes to Yeatman St) then make a slight left onto Dalrymple Rd and then a slight right onto Bayswater Rd. Turn left at the roundabout and the hotel carpark entrance is on the right. Dine in our family friendly Graziers Steakhouse where the kids can have fun in the play area or head into the Sports Bar where live bands play most weekends. Take a Ferry Ride from Port of Townsville across to Magnetic Island. Spend a day wandering along The Strand, a 2.2km of world-class beachfront promenade purposefully designed for enjoyment: Bike and walkway paths, safe swimming beaches, picnic spots, a water park and magnificent water views. Visit the Townsville Cultural Festival featured in August on The Strand. 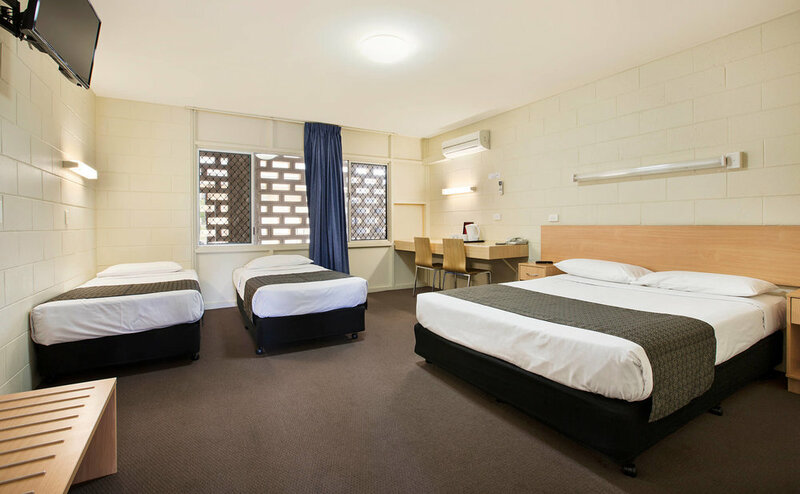 RAAF Base Townsville is located next to Townsville International Airport, just a short drive away.